Leprechaun Labelling are official dealers of the Intermec, Datamax and Zebra range of printers. 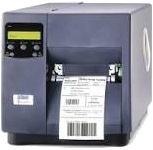 We also supply other makes of OEM barcoding equipment. Depending on your application, enviroment, size of label and daily volume we would advise which printer would be most suited to your needs. For those customers whose printing requirements do not warrant the purchase of a printer, our sister company Labelwithus, has a fully equipped pre printing bureau to print any barcode, graphic design or serial numbers requested. We currently supply Label Matrix, Labelview, Bartender and Codesoft label design software to have your label printer up and running in no time.